I'm a freshwater fisherman, a flat-lander really, born and raised on the Prairies. I've cut my teeth on bullheads and bluegills, channel cats and carp and in the end I'm game to target and hopefully catch anything that's willing to bite my lure or bait. 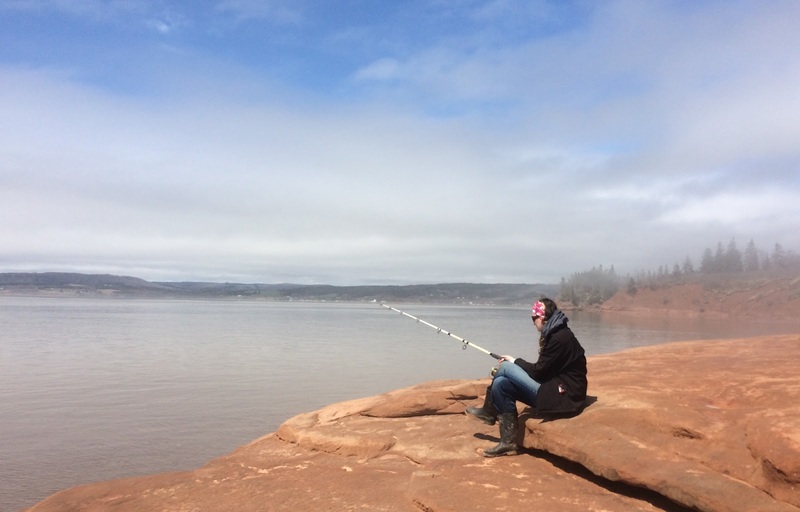 The time had finally come for my wife and I to give it our all and shore fish one of the wonders of the world, the Minas Basin in the Bay of Fundy. The highest and most dramatic tides in the world, a diverse and often unforgiving ecosystem. 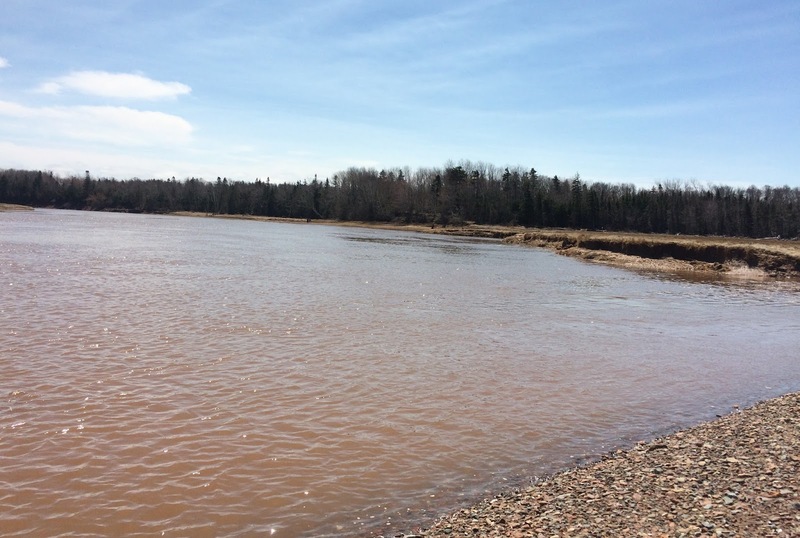 The weather was all over the charts and tides were some of the highest of the season, making successful windows of opportunity to fish few and far between. 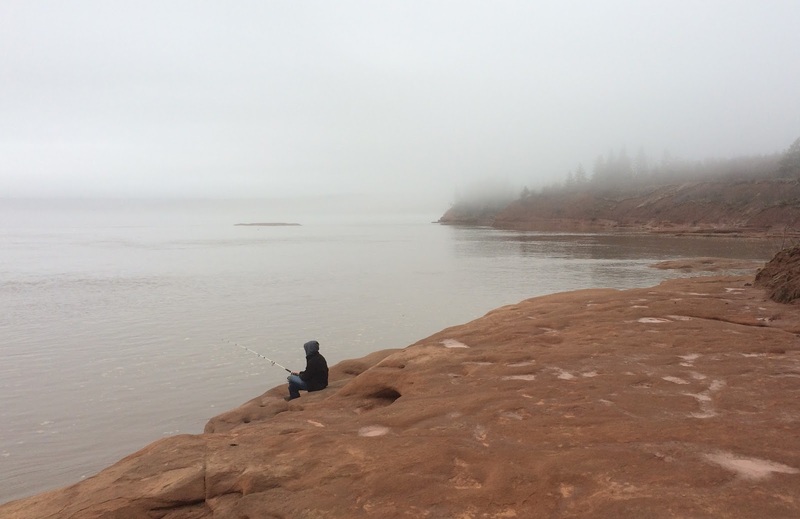 (The area we were staying can often see low tides thousands of feet out from shore) However when we actually were able to make it out to soak some bait, the experience was priceless. 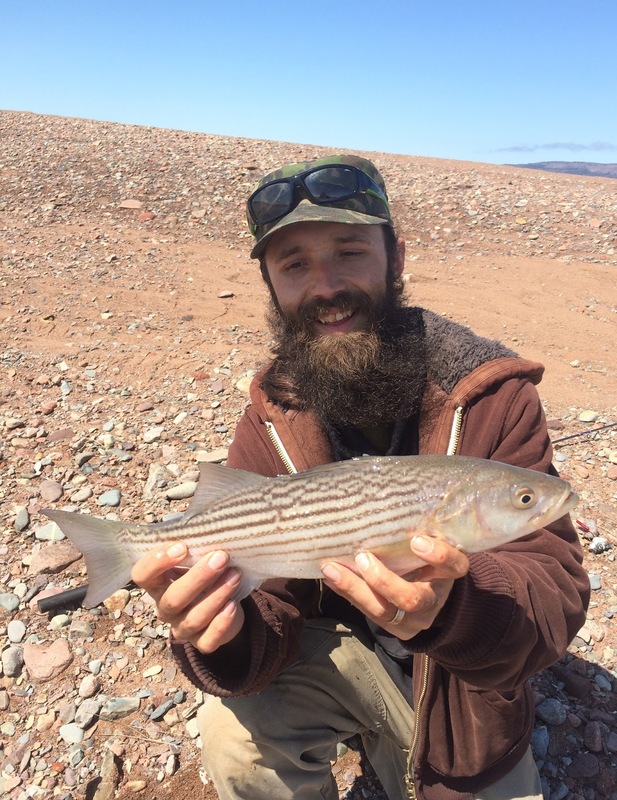 We wanted to target the striped bass that were following the tide and smelts into the rivers and had planned to fish off of a rocky outcrop in the basin as well. We ended up missing more bites than I would care to admit in the process, mostly smaller fish just nipping and tasting our bait. As the tide came in over our 3 hour fishing session where the river met the basin we were immersed in an ever changing fishing scenario. Current seams would come and go, debris would float by catching on our lines and every 15 minutes we would have to take a few steps back up the sandbar we were fishing off of. 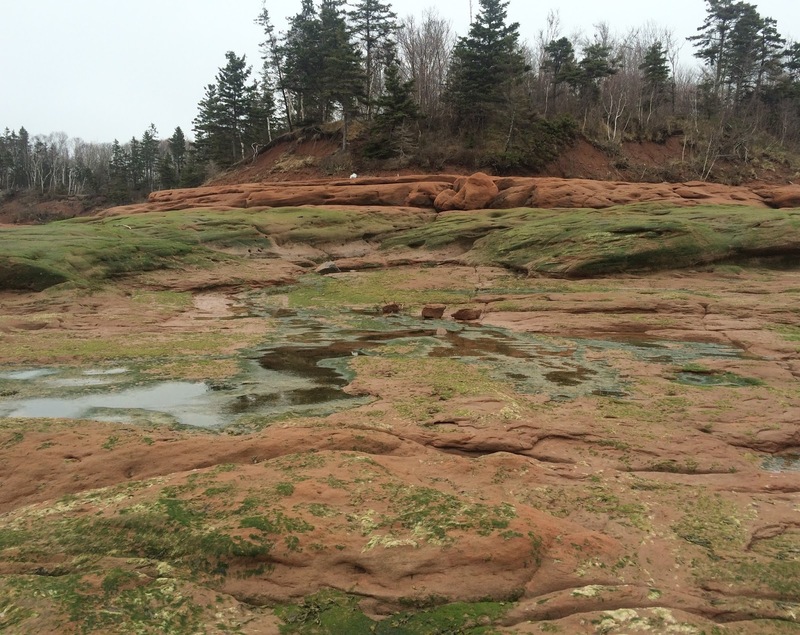 When visiting this area of Nova Scotia it is very easy to see the changes in the tides throughout the day as you go about your sightseeing and activities. 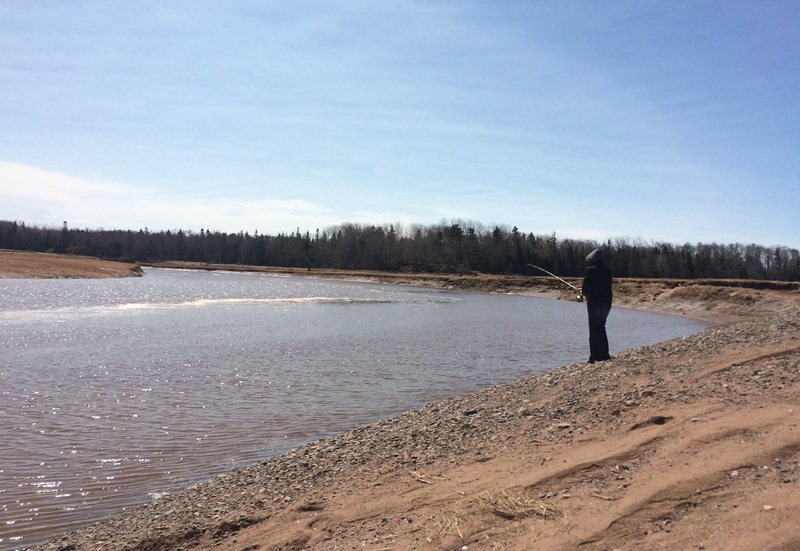 The immense amount of water that comes and goes in the basin is incredible and about the only way I could stay in one spot long enough to experience that was by fishing. I was lucky enough to finally land a small striped bass but that was about it. With an hour to go before high tide the little river we were fishing had now flooded and the marsh plains around it were completely submerged. 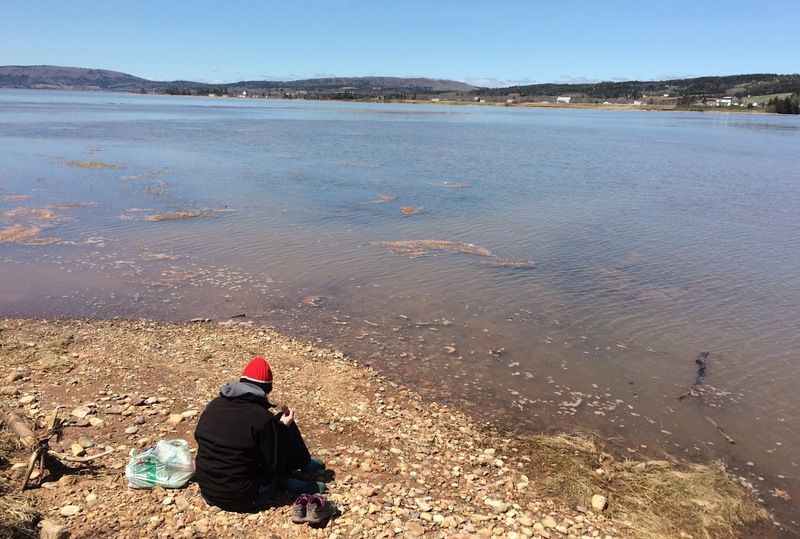 We were chased away with the water making it all the way to the path we walked down to access the spot, content with the experience having learned a lot about the area and situation we were fishing. 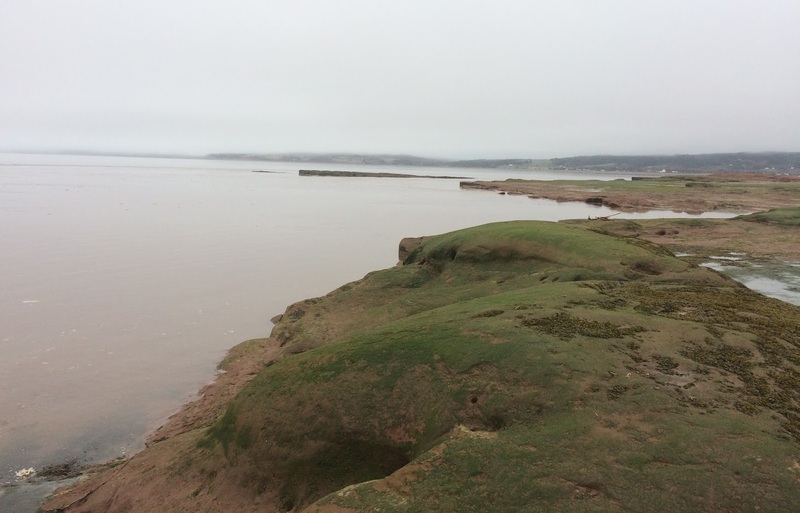 Our second round of fishing was the next days incoming tide from a sandstone outcrop. 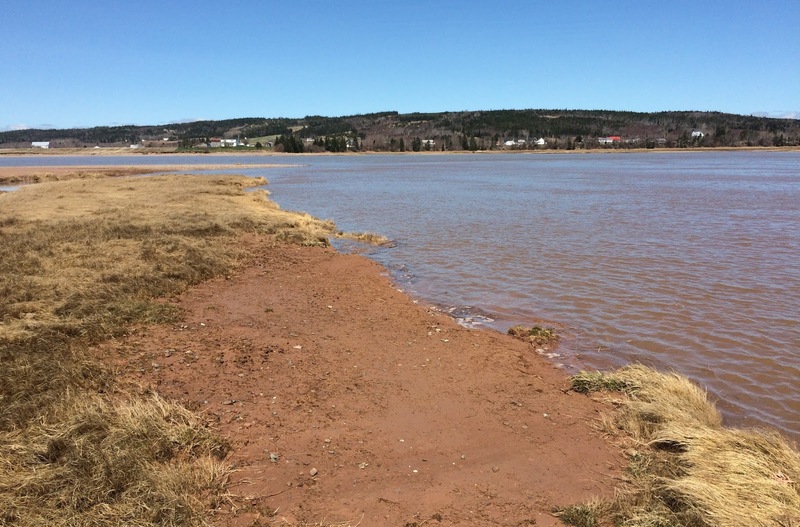 The weather changed over a dozen times in the course of 3 hours and it was a truly stunning experience watching the tide slowly rise. Again bites were missed early on and after I lost what I think was a feisty striped bass, my wife ended up landing a herring, saving us from complete failure. We continued fishing, slowly working our way back up the rocks and seaweed, always keeping an exit route in mind. Until eventually our spot became basically unfishable. Not a complete failure and far from a major success, we packed up and hiked the trail back to the car in hopes of making it back in time for supper. We started fishing on the right side of the pic and finished 3 hours later way up by the bag on the left side. 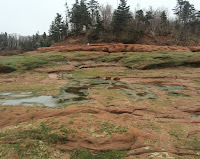 Having family in Nova Scotia, I plan to be back at least once a year if time and space permits. 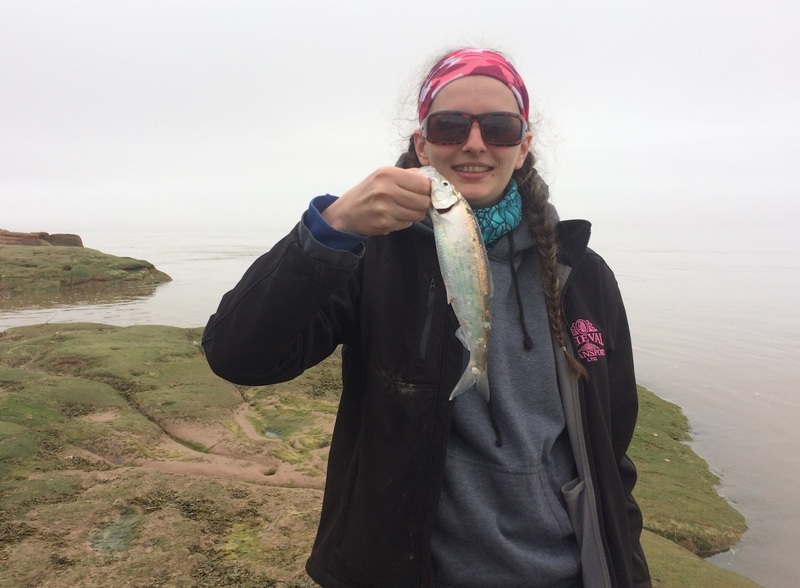 With plenty of fishing opportunities both fresh and salt, stunning scenery and beyond friendly locals it definitely feels like home away from home.